December 10th, 2012 - Posted in Brooklyn. Whether it be for a holiday or a place to live, New York City has always been a very attractive destination. People traveling to the city sometimes have a tendency to think of New York City and Manhattan as the same thing. Luckily, in recent years more and more visitors have started to explore the other boroughs in New York City as well. 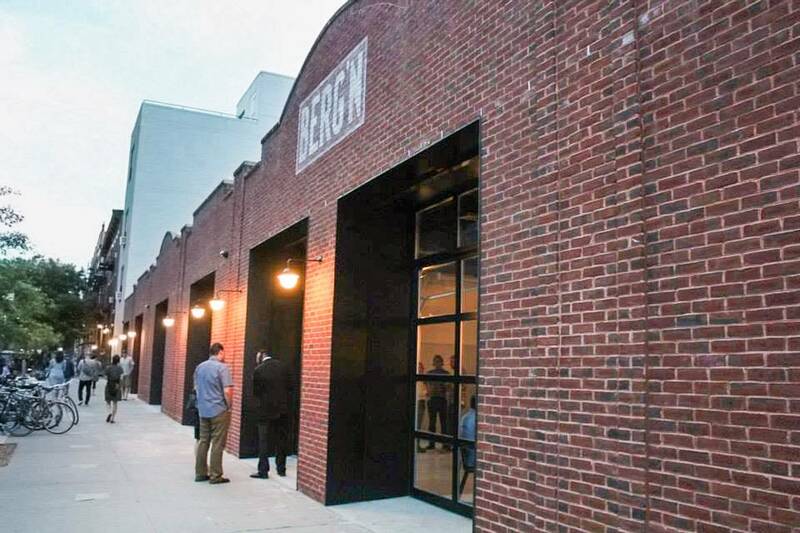 Brooklyn in particular has gone through a true revival. 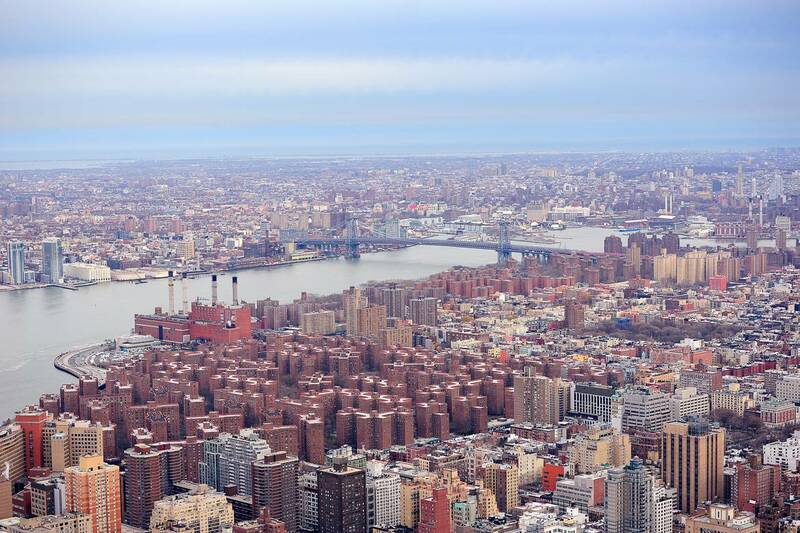 Neighborhoods such as Williamsburg, DUMBO and Vinegar Hill have been recognized as both great holiday destinations and as wonderful locations to live. Still, some other thriving neighborhoods in the center of Brooklyn have missed out on this new attention given to Brooklyn. That’s why in this article we’ll highlight Bedford-Stuyvesant, and show you all the great perks of staying here during your holiday or on a longer visit to New York City! So why Bedford-Stuyvesant? For one thing, it’s one of the larger central neighborhoods in Brooklyn, with a population of over 100,000 residents. For another, the bustling neighborhood offers an exciting combination of historical prominence and new developments, while still maintaining very attractive accommodation prices. 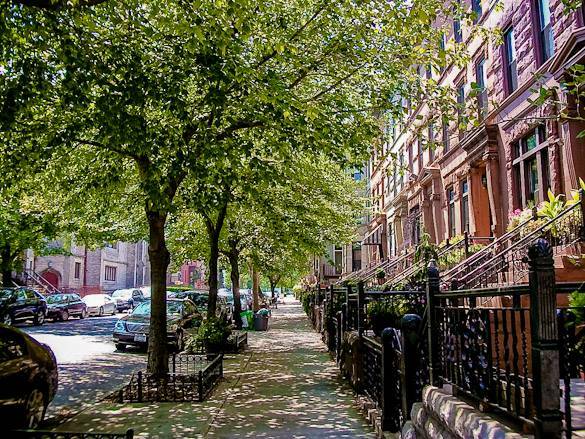 The neighborhood also has great transportation within Brooklyn and to Manhattan, so it can be the perfect base to explore New York City from. Bedford-Stuvesant has three subway lines. The A and C trains run along Fulton Street and take you straight to Lower Manhattan, while the G train goes to Queens, and the J & M trains take you through Williamsburg to Lower and Midtown Manhattan. Bedford-Stuyvesant also has two LIRR stations, Nostrand Avenue and East New York, where you can catch a train to Long Island to visit one of the many great beaches there. Bedford-Stuyvesant, or Bed-Stuy as it’s often called by residents, is bordered to the west by Clinton Hill, to the north by Williamsburg, to the east by Bushwick, and to the south by Crown Heights. 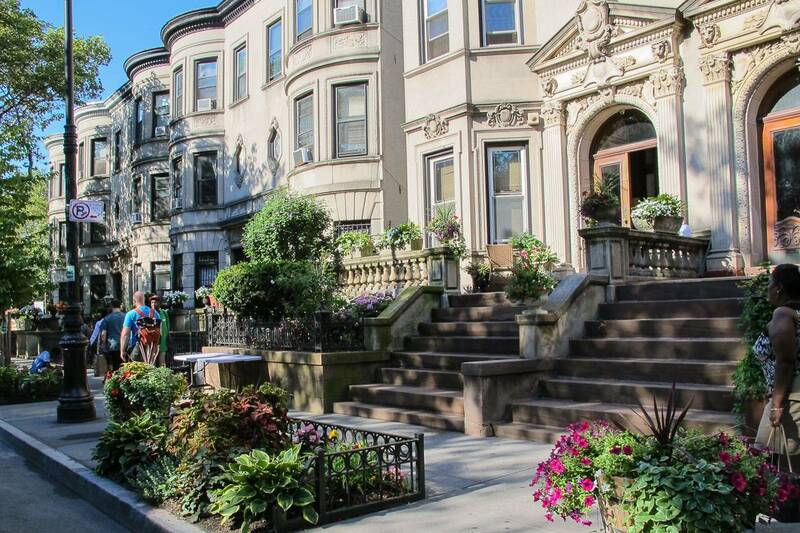 Historically, the neighborhood is known for its beautiful brownstone townhouses and for its ethnical diversity. Famous former residents include rappers such as Jay-Z, Lil’ Kim and Mos Def, singer Norah Jones, actor Chris Rock and boxer Mike Tyson. Apart from these residents, Bedford-Stuyvesant is also famous for its many sprawling avenues and small parks. 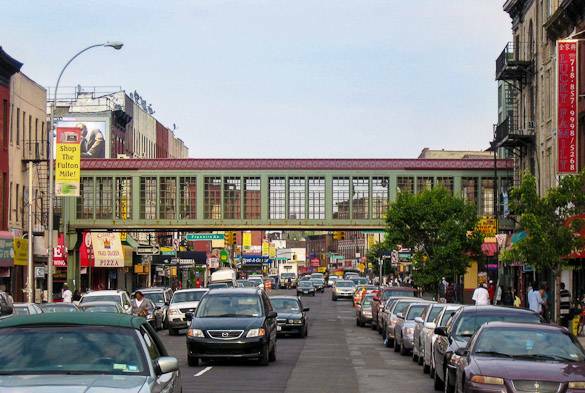 The main thoroughfare of bed-Stuy is Nostrand Avenue, while the main shopping street is Fulton Street. Fulton Street is a mile-long street running from west to east through Bedford-Stuyvesant. 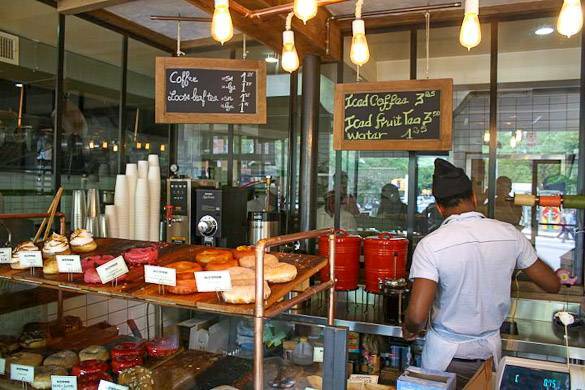 Along it you’ll find a great selection of shops ranging from fashion to bicycle to grocery stores. On Fulton Street you’ll also find the main subway line of Bedford-Stuyvesant. Several stations on Fulton Street give access to the A and C lines of the NYC subway, which will take you to Lower Manhattan in just 15 minutes. It’s this great connection to Manhattan that makes the area around Fulton Street very popular among commuters. Especially if you’re a student or intern coming to New York for a longer period and are on a tight budget, renting a room in Bedford-Stuyvesant can be a real money saver, while it also provides you with the opportunity to truly live like a local among Brooklynites! 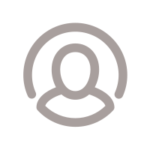 To give you an example of renting a room in Bedford-Stuyvesant, we’ve selected this apartment share on Lafayette Avenue & Lewis Avenue, which lies in the north of Bedford-Stuyvesant. 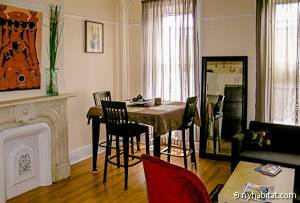 The apartment is located on the top floor of a typical Brooklyn brownstone building, and has 4 bedrooms for rent. The bathroom and fully equipped kitchen are shared with the roommates, while you have your own private bedroom with hardwood floors, a single bed and desk where you can get some work done. The apartment is also just 3 blocks away from Kosciusko Street station, where you can catch the J train to Manhattan, which makes it very easy to commute to Manhattan on a daily basis. If you’re looking for an affordable room to rent in New York City for a longer period, this Bedford-Stuyvesant apartment is definitely a great option! 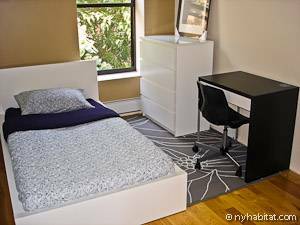 If you’re interested in staying in Brooklyn for a longer period, also have a look at our furnished rental apartments in Bedford-Stuyvesant, which are fully furnished private apartments that can be rented for a period of one month or longer. Of course Fulton Street isn’t the only good place to shop in Bedford-Stuyvesant. Recently, quirky shops and cafes have sprung up in the area between Lewis Avenue and Malcolm X Boulevard. 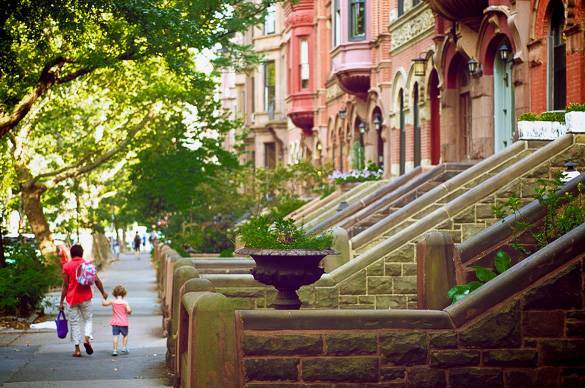 Lewis Avenue lies at the center of Bed-Stuy’s historic district, which is filled with beautiful brownstones. Along Lewis Avenue, you’ll find among other shops, an independent bookstore called Brownstone Books, a local bakery called Bread Stuy, the Brooklyn Public Library and several celebrated restaurants, such as the great pizzeria Saraghina and the Therapy Wine Bar. On Malcolm X Boulevard you can find a farmer’s market every Saturday at the Jackie Robinson Park. Other gems in Bedford-Stuyvesant include a thriving donut shop called Dough and an organic ice-cream shop called Frozen Social. Bed-Stuy really has something to offer for everyone. It also has a rapidly expanding nightlife scene. Clubs such as Sugar Hill, Sarah James Speakeasy and Brown Sugar are attract revelers from miles away. Besides restaurants, cafes and bars, Bedford-Stuyvesant also hosts a plethora of other attractions like the YMCA, parks such as the Herbert Von King Park and community gardens such as the Hattie Carthan Garden. Bed-Stuy also houses the Brooklyn Children’s Museum, which is a great place to take the kids on a rainy day in New York City. Check out this article about the Brooklyn Children’s Museum for more information. For larger families or groups of friends looking for accommodation for a holiday in New York City, Bedford-Stuyvesant is a great affordable option. The apartments offered in this neighborhood are often much larger than those in Manhattan, and the prices definitely make it worth your while! 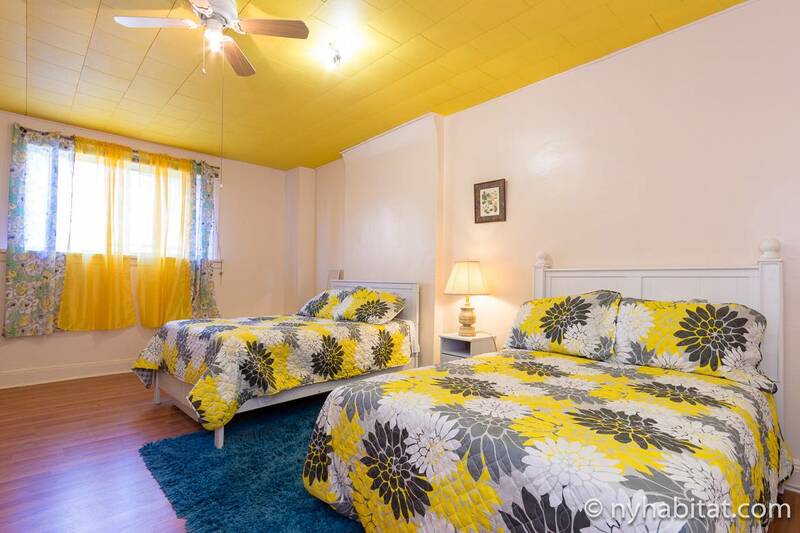 Take for example this Bed-Stuy vacation rental apartment on Madison Street & Nostrand Avenue. The apartment is located in a typical Brooklyn brownstone townhouse, and can sleep up to 8 people! The living room features hardwood floors, an exposed brick wall and has all the amenities you’ll need, such as cable TV. The bedrooms are tastefully decorated, and the kitchen is fully equipped, so you can cook dinner for your friends and family with fresh ingredients you can pick up at the local farmer’s market! Furthermore, the A and C train are just 3 blocks away, so if you want to explore Manhattan for a day you’ll get there in just 15 minutes! Then again, there’s so much to see already in Bedford-Stuyvesant and Brooklyn you might end up spending most of your holiday east of the East River. If you’re coming to New York alone or with a significant other, a great alternative to renting an entire apartment for your vacation is to stay at a bed & breakfast. We have bed & breakfasts available in Bedford-Stuyvesant and across New York City that can be the perfect base for your NYC holiday! We hope you’ve enjoyed this little tour of Bedford-Stuyvesant. Have you ever been to this part of Brooklyn, New York? Celebrate New Year’s Eve in New York, London, Paris or the South of France! Visit Provence During Wintertime for a Surprising Winter Holiday! 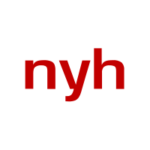 Gracias por elegir New York Habitat para su estancia en Nueva York. Le haremos llegar su comentario al agente que le asistio con su solicitud. Ella se pondra en contacto con usted en breve para responder cualquier pregunta que usted pueda tener acerca de su estancia en Bedford-Stuyvesant. Este apartamento le pone cerca de muchos restaurantes y bares de renombre y le dará la oportunidad de ver cómo vive la gente local, siendo sólo 5 paradas de la parte baja de Manhattan!